The Jalisco Condo Law in English and the Jalisco Condo Manual were exactly what I needed to help convince co-owners that (1) the laws of Jalisco, Mexico are not that “foreign” to those up North, and that (2) our condo had been operating in serious violation of Jalisco law for quite some time. My neighbors kept discounting all other references as “not specific to Jalisco”. Here, in English, was the help I needed to convincingly make my case. I recommend that every condo have a copy for reference, and that every condo owner consider the same. An excellent translation of the Jalisco Civil Code that pertains to condominiums. “The Jalisco Condo Manual” should also be purchased. This manual is well organized so that you can look up a subject very easily. It met all my needs. I am so pleased to finally have an accurate English translation of the Jalisco Condo Law. This book has helped us find the legal resolution to a very complicated situation which has plagued our condo for years. I could not be more pleased, and I sincerely recommend the purchase of this book by every condo owner and officer in Jalisco. This book is much shorter than the “Jalisco Condo Manual,” but worth every bit as much for the information and understanding of the condo law that it provides. Together these 2 books are pure dynamite. What a great asset to us expats! Thanks for a great guide to condo laws. We have fumbled through many years trying to understand this on our own. I have recommended this book to my fellow Board Members in our condo association. A very helpful book for your condos' council as well as for individual owners. Along with the “Jalisco Condo Law” you will have the necessary information to help your Association manage and oversee the operation of your condominium complex. I ordered 3 sets of your books for HoA Board. They are most helpful. In the past, we would ask 3 notarios and get 3 different answers! This book was written like it was intended to be understood, he writes so well and in detail, leaves nothing out, I am back buying a second book to give to people in my building. 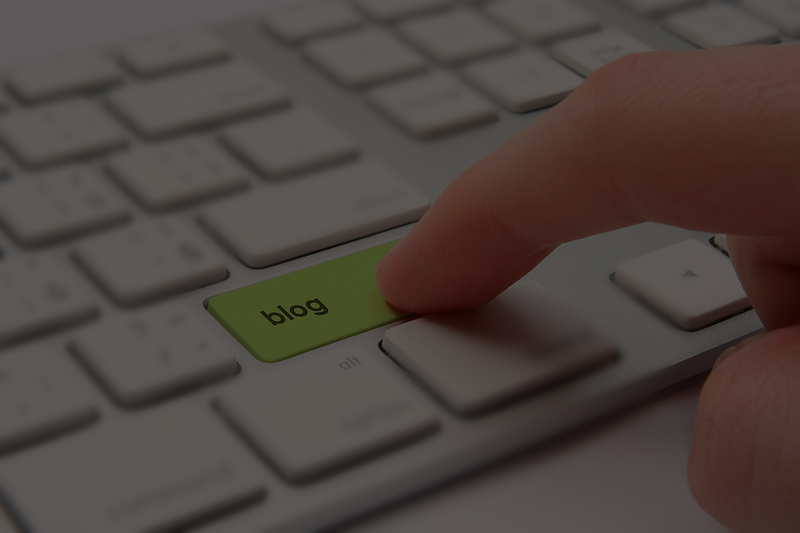 We've set up a blog where we'll post updates and any needed corrections to our condominium books, expand on hot condo topics, and discuss other topics that aren't in the books. 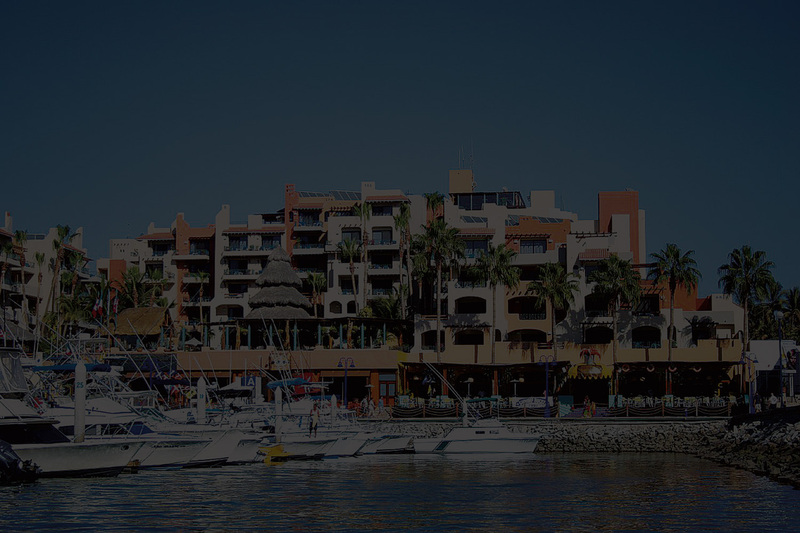 The blog will let us get new information affecting condos in Jalisco to you quickly. You can also comment on the posts – this community discussion increases the value of the information. You can also subscribe to the blog so you'll be notified by email when new articles are posted. JaliscoCondos.org is a web site operated by JaliscoCondosOrg Publishing. It is committed to giving you comprehensive, accurate, and up-to-date information about owning and running a condo in the state of Jalisco, as well as buying property in Mexico. real estate laws, procedures, and processes for buying property in Mexico. I know these will prove useful to anyone who's planning to move to Mexico, is already living here, or is just interested in the Mexican legal system or real estate practices. Just enter your name and email address in the form below to subscribe for notifications! We never share your email address with anyone! If you have any questions about our books, services, or have a condo issue or question, please contact us. Just fill in the form below, and we'll get your message! The “Jalisco Condo Manual – Second Edition” Has Been Delayed! We are currently walking a condo through the entire process of SAT registration, bank account set-up, contracting of an accountant, and regular financial reporting – to be sure they fully comply with the new tax laws. Once this is done, we'll have a detailed real-world guide on how to do this for the new edition of the book. Not surprisingly, this is taking longer than expected. A high court in Jalisco has ruled that Article 1032 (that allows a condo to sell the property of a delinquent owner at public auction) is unconstitutional as written. Because this is such a key article, as well as a vital weapon in a condo's arsenal against delinquencies, this has significant impact on how to sue a delinquent owner. We are walking a test case through the Jalisco courts with a modified method of suing that we believe circumvents the legal problem. Once we figure out how this can be done successfully, with the end result being the removal of the delinquent owner from the condo, we'll include complete details and procedures in the new edition. The case is progressing well, but such things always take longer than you might expect. Since these are both vital issues affecting condos, we have decided to wait until we have all the information before completing the new edition. This will make the new book much better and more relevant! Unfortunately, at the time of writing this post, we are still a few months away. We believe that the finished product, however, will be worth the delay. We hope you understand, and thank you for your patience. “Jalisco Condo Law in English” Has Been Updated! 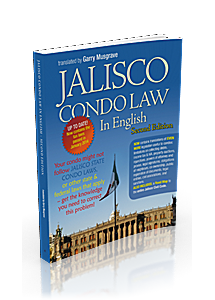 The “Jalisco Condo Law in English” has been updated to its Second Edition. Since the first edition was published in June of 2011, legislation has been amended, and we've discovered more laws that are relevant to condo administration. We've also improved the translation and notes of the existing chapters based on experience, plus feedback and questions from users of the first edition. Throughout the book, text and translations were edited for more clarity and additional detail; vague pronoun references were further resolved, and all gender-specific pronouns were replaced with the singular “they” form – legislation must always be gender neutral; inline notes in the translations were added or expanded to more fully explain concepts or legal terms and processes; and typefaces were changed to make the book easier to read. Part 5 – Obligations of Neighbours: contains rules in the Jalisco Civil Code that neighbours living anywhere (inside or outside of a condo) must follow. Part 9 – Legal Signatures & Electronic Transmissions: contains the Jalisco Civil Code definitions of a legal signature, and articles that allow proxies to be emailed or faxed. Part 11 – Limitations on Collecting Debts: contains the Jalisco Civil Code section that restricts collecting fees from delinquent owners to two years. Part 12 – Income Tax & IVA: contains the 2014 federal laws governing the income tax, bank account, and IVA (value added tax) obligations of a condo. Part 13 – Rules for Public Property Auctions: contains the state laws governing the public auction held when a condo has forced the sale of a property under Jalisco Civil Code Article 1032. Part 14 – Preventative Injunctions for Lawsuits: contains the state laws governing methods of protecting the condo's interests when forcing the sale of a property by preventing title changes, liens, mortgages, or other encumbrances during the process. 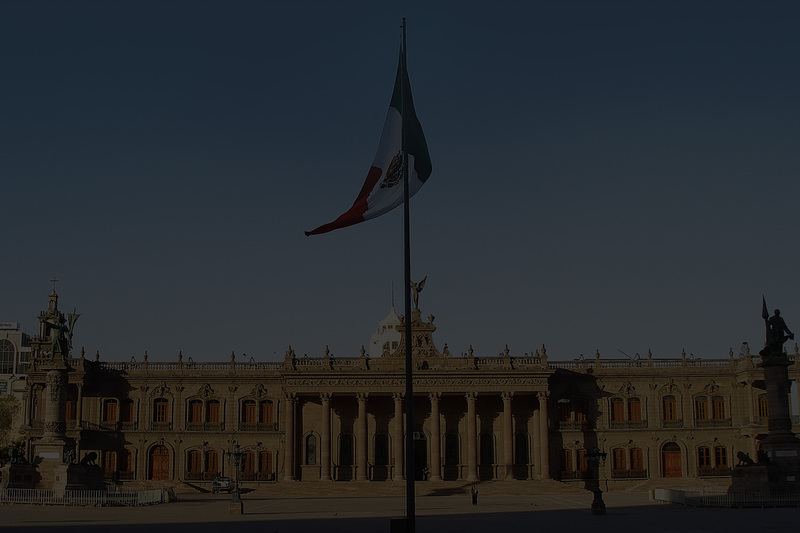 Significant edits and improvements were also made to: Part 1 – Brief Overview of Mexican Law, Part 2 – Road Map to the Jalisco Civil Code, Part 3 – The Jalisco Condo Law, Part 4 – Co-Ownership, Part 7 – The Public Registry of Property (formerly Part 6), Part 10 – Civil Associations (formerly Part 8), and Part 15 – Example of Sanctions (formerly Part 9). If you bought a copy of the First Edition of the “Jalisco Condo Law in English” in the last year, you might be entitled to either a free copy or a significantly reduced price on the Second Edition. Click on the book info in the “Books” section of this site for details. 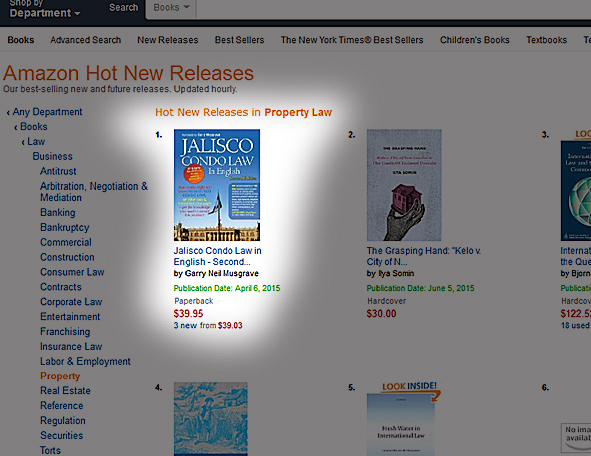 Coming Soon – An Online Edition of the “Jalisco Condo Law in English – Second Edition”! It works well as a companion to the printed edition, or as an alternative to it. Every article of every code or law that appears in the book will be available in the online database. You first select the code or law you want to see. You can narrow this down to a particular section, or a particular chapter, or view the entire law. You will then be shown all articles that were excerpted and translated in the book that match your selection. These are presented in a side-by-side format showing the original Spanish text alongside the English translation. The article view is searchable in English or Spanish (accents are ignored in a search). This will reduce the displayed articles to only those containing the word or phrase you searched for. In addition, the format is designed specifically for mobile devices. You can use all these features, and view the translations, on a smartphone, tablet, laptop, or desktop – at your convenience. Access will be by yearly subscription, and additions and updates will be available to you instantly – no need to wait for the next edition of the book! Another updated book: The “Jalisco Condo Manual – Second Edition” is expected by July 2015. Future web site additions: we plan to add subscription-based, in-depth video training modules covering each main topic from the “Jalisco Condo Manual – Second Edition.” Each topic will be broken into sections, with reviews and quizzes to help you assess your online learning. You'll be able to access these at any time to suit your schedule. 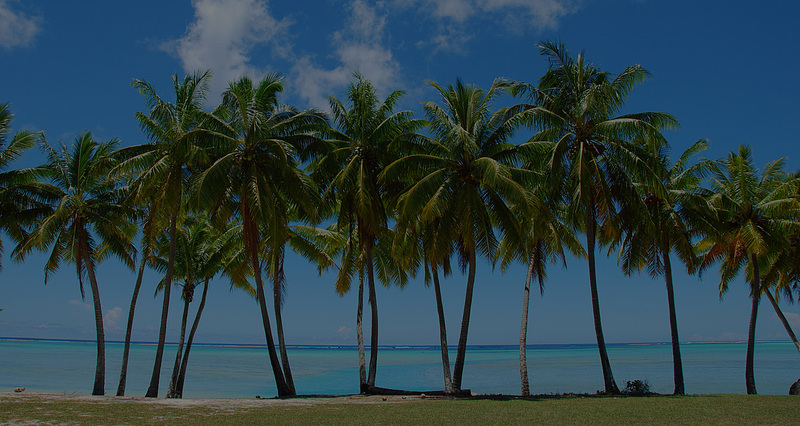 Condo Site Hosting: we plan to add hosting and design services for condo web sites. A condo web site is the most efficient and effective communication tool available to a condo administration. You'll be able to have a customised web site, specifically designed to suit the needs of your condo, up and running in a few days. Maintenance and content additions can be done by anyone. All this for a one-time setup fee, plus a modest annual hosting fee. An updated version of the first edition of the “Jalisco Condo Law in English” published in 2011. It has improved translations plus six new sections with 80+ more pages of even more laws relevant to the administration of a condo. Includes the new 2014 tax laws! To see the topic coverage in detail, click HERE for a PDF preview of the Table of Contents, the Introduction, a list of Changes From the First Edition, an excerpt from the Road Map to the Jalisco Civil Code, selected excerpts of the translated codes and laws, and the Index. State law has regulated condos in Jalisco with its Civil Code since 1995, and is binding on both the condo administration and all owners. Would it surprise you to learn that many condos don't follow the Jalisco condo laws? This should concern you, because it exposes your condo to potential consequences down the road that could result in financial costs or decreased property values. In most condos in Canada or the US, there's high compliance with provincial and state condo laws. The same does not occur in Mexico – especially with condos that are run by foreigners. The administration of these condos often has no knowledge of the details of the condo legislation – in some cases, the Board is unaware of the very existence of the law. If you're an owner, or if you're part of your condo's administration, you need to know what the law says, and what the proper procedures are. If you're considering buying a condo, you need the knowledge to find out if the condo is being run properly – before you buy into potential trouble. A major part of the problem is that the condo legislation is written in Spanish, and there has been no high-quality translation designed for use by foreigner-run condo administrations. This 260+ page book (50% bigger than the first edition!) contains the complete text of the Jalisco condo law translated into English plus additional laws that are relevant to a condominium. It's presented in a unique side-by-side format, with both Spanish and English paragraphs perfectly synchronised. You can always refer to the original Spanish at any time. As well as a high quality translation, there are inline comments and notes to help clarify certain passages, issues, and legal terms. debt collection & suing a delinquent owner. Road Map to the Jalisco Civil Code – an index of the entire Civil Code – every book, title, and chapter is listed. The Road Map has three synchronised columns: the original Spanish titles, the translated English titles, and notes explaining various legal concepts, and showing the article number range for every chapter of the code. There's much more to the Civil Code than just the parts that are relevant to a condo. With this powerful tool, you can easily find the part of the code that pertains to any topic that affects you. As well, you can quickly find the section of the code that applies if you've only been given an article number. The Road Map is extensively indexed. The book's comprehensive index lets you quickly and easily find all the references in the law to many topics about condos and their administration. It can also be ordered from Barnes & Noble and most other book stores – tell them it's in the Ingram catalogue. Copies can be ordered directly from us in Mexico, for shipping to a Mexican address. Because of shipping costs from the U.S. to Mexico, ordering directly from us is usually faster and cheaper than having online book sellers such as Amazon ship the book to Mexico. The “Jalisco Condo Law in English – Second Edition” is available to you directly from us in Mexico for $650 pesos or $35USD PLUS $140 pesos or $10USD 2-day shipping to anywhere in Jalisco — TOTAL including shipping: $790 pesos or $45USD. This is less than Amazon charges with Global Standard Shipping to Mexico (their cheapest shipping option using the mail) because it normally sells on Amazon for about $40USD (about $720 pesos) plus shipping. See the section below to find out how you can eliminate our shipping charge. We currently have this book in stock in Mexico. Many condos buy our books in bulk for an entire Board or a group of owners – use the form below to ask about quantity discounts for more than five copies. Shipping charges are also lower for multi-book shipments. If you bought a copy of the first edition of this book directly from us after October 31, 2014, we'll replace it with a free copy of the Second Edition. You only pay us $140 pesos or $10USD for 2-day shipping to anywhere in Jalisco. If you bought a copy of the first edition directly from us after April 30, 2014, but before November 1, 2014, we'll sell you a copy of the Second Edition for the special upgrade price of $400 pesos or $22USD PLUS $140 pesos or $10USD 2-day shipping to anywhere in Jalisco — TOTAL including shipping: $540 pesos or $32USD. You save $250 pesos or $14USD over the regular purchase price. See the section below to find out how you can eliminate the shipping charge. This upgrade offer only applies to books shipped from Mexico to an address within Mexico. Contact us for upgrade details using the form below. If you live in, or can easily travel to, the Lake Chapala area, you can pick up a copy and save the shipping cost entirely. If you're in this area, send us a message using the form below, and we'll tell you how you can pick up the books. You can pay in cash at that time (in pesos or USD). For shipping to other parts of Mexico, we use Estafeta or DHL. Your shipment can be tracked online, and only takes 2 business days from time of shipment. We normally ship your books to you the next business day after receiving your order. If you want to order your books directly, and have them shipped within Mexico, you can either pay us in USD using PayPal, or, if you prefer to pay in pesos, you can do a bank transfer (we use HSBC). Contact us using the form below for bank transfer details. With PayPal, you can also charge your purchase to your credit card – you don't have to have a PayPal account to use your credit card! However, when using PayPal, you MUST pay us in US dollars (use the amounts given above). This is because PayPal has unfavourable exchange rates for pesos, and also charges a surcharge for converting currencies. If you have a book store or shop in Jalisco, and you're interested in selling our books, please contact us using the form above. To see the topic coverage in detail, click HERE for a PDF preview of the Table of Contents, the Introduction, and the Index. A step-by-step guide and reference manual for Mexican condominiums. If you own a condo apartment or a house in a gated condo, you should be aware of the most common mistakes your condo administration could be making that can affect the value of your property. If you're a member of a condo administration, you owe it to yourself and the homeowners you represent to make sure your condominium is being run properly, efficiently, and in compliance with the state condo law. If you're thinking about buying a condo, you need to be able to tell whether the condo is being administered properly. This could directly affect both your experience as a resident and your property value. If you're a real estate agent, you owe it to your clients to know how to spot problems with the running of the condos they're looking at. You've probably found that there's widespread misinformation about the nuts and bolts of running a condo in Mexico – assuming you can find any reliable info at all! Much of the problem comes from unsubstantiated opinions or keeping the status quo. Some early condos made mistakes when they were set-up, and these have been continued by new condos copying them! Eventually, poor (and often, illegal) practices become the standards on which new condo administrations are based. The real problem is that detailed and accurate information has not been available to you. Until now . . . This book grew out of the author's own frustration with this same problem. After doing several years of research, he gathered all the information needed to help you properly administer a condo according to the Jalisco condo law, and organised it for you into a single book. At first, you can use it as a learning guide, and then as a day-to-day reference. As well as all this in-depth information, you also get many sample forms and other documents, as well as WORD and EXCEL templates – all of thse are valuable in the day to day running of a condo. This is a 150+ page BONUS when you register the purchase of your book online. Click HERE for a PDF preview of the BONUS Pack's Table of Contents. The “Jalisco Condo Manual” is available to you directly from us in Mexico for $650 pesos or $35USD PLUS $160 pesos or $10USD 2-day shipping to anywhere in Jalisco — TOTAL including shipping: $810 pesos or $45USD. This is less than Amazon charges with Global Standard Shipping to Mexico (their cheapest shipping option using the mail) because it normally sells on Amazon for about $44USD plus shipping. See the section below to find out how you can eliminate our shipping charge. 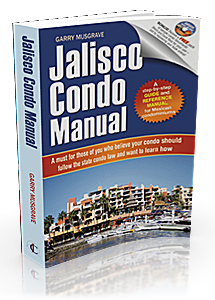 The “Jalisco Condo Manual – Second Edition” should be released in 2016. This will be a very significant update of this book. If you bought a copy of the first edition of this book directly from us after November 1, 2016, we'll replace it with a free copy of the Second Edition. You only pay us $160 pesos or $10USD for 2-day shipping to anywhere in Jalisco. If you bought a copy of the first edition directly from us after April 30, 2016, but before November 1, 2016, we'll sell you a copy of the Second Edition for the special upgrade price of $400 pesos or $22USD PLUS $160 pesos or $10USD 2-day shipping to anywhere in Jalisco — TOTAL including shipping: $560 pesos or $32USD. You save $250 pesos or $14USD over the regular purchase price. Unless stated differently, all information on this web site, in our printed publications, and in our electronic media about the administration and management of condominiums applies only to the state of Jalisco, Mexico. Other Mexican states have similar legislation for condominiums, but there can be significant differences. If your condo is not in the state of Jalsico, you must familiarise yourself with the condominium laws as they apply in your state (or in the D.F.). All information given on this web site, in our printed publications, and in our electronic media is based on our own research carried out through printed material, other web sites, our interpretation of various Codes and Laws, our opinions, our personal experiences, and, in some cases, independent legal opinions on specific issues. Although the sources of information used for these, as well as the information contained in them, are considered reliable, there is no warranty or guarantee of such. Neither JaliscoCondosOrg Publishing (DBA JaliscoCondos.org) nor Garry Musgrave are lawyers, abogados, notarios, nor corredor públicos, nor do we offer legal advice. The information given on this web site, in our printed publications, and in our electronic media is for information only, and is not to be interpreted as legal advice of any kind, and must not be relied on for use in a specific legal situation. 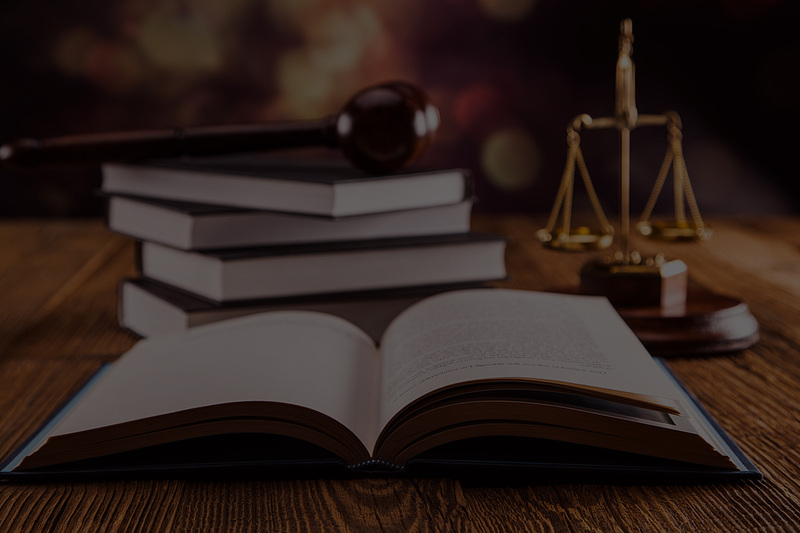 Legal counsel should always be sought for specific advice as it applies to a site visitor’s or subscriber’s or book purchaser’s unique situation and locale. Each site visitor or subscriber or purchaser of books or services must carry out their own due diligence for issues of importance to themselves. Before making any decisions or commitments, carrying out any acts, or signing any documents, the site visitor or subscriber or purchaser of books or services should always get specific advice and help from professionals specialising in the issues in question. The information contained on this web site is for informational purposes only, and is intended only to be used for such. It is not intended to give you legal or other advice, and you must not rely on the information for any such advice. Although we believe that the information given on this web site is accurate and complete, and we try to keep it up to date, this information is given “as is” without any representation or warranty, express or implied, about its accuracy or completeness. Use of this web site is entirely at your own risk. JaliscoCondosOrg Publishing (DBA JaliscoCondos.org) is not liable in any way or to any extent for any direct, indirect, special, incidental, or consequential damages, losses, or expenses arising out of the use of this web site. For more information, please see our Disclaimer. Other web sites accessed from this web site by links or by other ways have been independently developed by third parties, and we do not warrant the accuracy or completeness of the information contained in such sites. The inclusion of any information, material, content, or links on this web site must not be interpreted as an express or implied endorsement of any third party web sites, products, or services. All materials published or accessible through this web site, including, but not limited to, books, articles, text, newsletters, photographs, images, illustrations, audio clips, video clips, software, and other materials (the “Content”) are protected by copyright, and are owned or controlled by either JaliscoCondosOrg Publishing (DBA JaliscoCondos.org), Garry Musgrave, or the party credited as the provider of the Content. As well, this web site is protected by copyright as a collective work or compilation under Canadian copyright laws, international conventions, and other copyright laws. Unless stated differently, any reproduction, change, redistribution, publication, transmission, transfer, sale, distribution, performance, display, or exploitation of this web site, whether in whole or in part, without express written authorisation from JaliscoCondo.org is a violation of federal or common law and is prohibited. Certain names, words, titles, phrases, logos, designs, graphics, icons, and trademarks displayed on this web site may be registered or unregistered trademarks of JaliscoCondosOrg Publishing (DBA JaliscoCondos.org) or third parties. The display of third party trademarks on this web site does not mean that a license of any kind has been given. Unless stated differently, downloading, changing, retransmission, or copying of any trademarks displayed on this web site without express written authorisation from JaliscoCondo.org is a violation of federal or common law and is prohibited. The symbols ® and ™ mean registered and unregistered trademark status, respectively. Portions of this web site are for access by paid subscription only. Any method that allows access to this content without an authorised subscription is a violation of federal or common law and is forbidden. 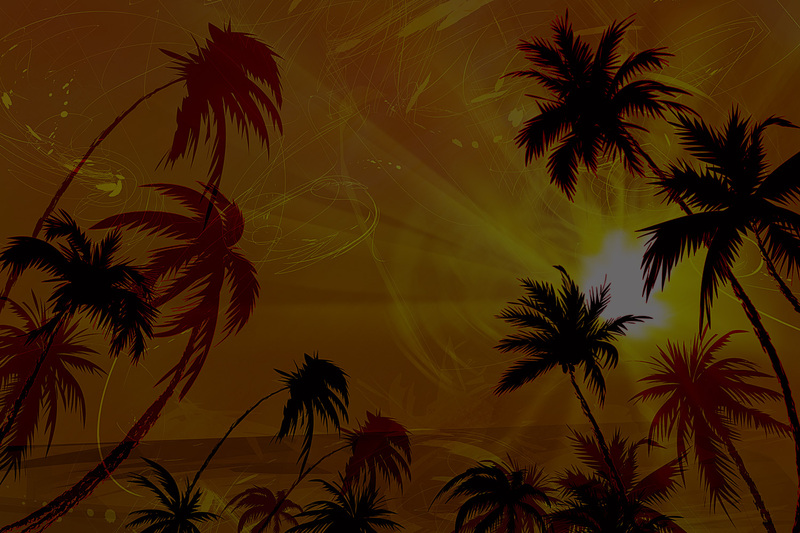 JaliscoCondos.org is both a public and a subscription-based web site operated by JaliscoCondosOrg Publishing. Its goal is to give information to subscribers about how to administer and manage a condominium in the state of Jalisco, Mexico according to the Civil Code of the State of Jalisco, as well as general information on the Mexican legal system and real estate and property buying laws and procedures. For more information, please see our Disclaimer. How do we maintain your privacy? We do not collect personal information if it is not needed, or if you do not volunteer it. In some cases, such as membership subscriptions, certain personal information must be collected from you to process your payment and create a membership account. When we do this, we will try to take all reasonable and suitable steps to protect your information. We use the highest level of encryption protocols available to us whenever we send personal financial information between you and our web site. Most modern web browsers support this level of security. However, if you are using an older browser, or one that is not standards-compliant, you should consider upgrading to a modern, standards-compliant browser. When do we collect your personal information? When you opt-in to one of our email notification lists, we ask you for personal information including, but not limited to, your name and email address. This information lets us keep you informed by email. When you place an order for a product or service (including membership in our subscription-based web site), we ask you for personal information including, but not limited to, your name, credit card number, email address, billing address, and telephone number. This information lets us process your order, or log you in to our members-only area. If this information is sent to a third party for payment processing or credit card approval, then the information is sent in an encrypted form using a secure protocol and security certificates. let us personalize the delivery of information and recommend products and services to you. Some general information could also be used to create statistics about visits to our web site that we use to measure our performance. These statistics do not contain any information that can identify you personally. Who gets access to your personal information? Access to your personal information is limited to employees who need this information to serve you, or to analyse site performance to measure and improve our web site. JaliscoCondos.org uses reputable outside service providers to assist us with customer service, processing of orders, fraud prevention, and other important functions. We only share the information necessary for these service providers to carry out their role in serving you and our web site. If you gain access to our web site through another web site, portal, or search engine any information that you shared with that web site or portal before you entered our web site is beyond our control. JaliscoCondos.org will track statistics about traffic directed to our web site by other web sites, portals, or search engines and might analyse and share this information with other web sites or portals. This information is not of a personally identifiable nature. JaliscoCondos.org might share statistics about the performance of our web site with other organizations. These include statistics such as the total number of web site visitors or subscribers. Your personal information cannot be identified from these statistics. JaliscoCondos.org believes that securing your personal information is an important part of our job. We will try to take all reasonable and appropriate steps to make sure that your email address, password, credit card information, and any other personal information are protected from unauthorised access or disclosure. It is important that you also proactively protect your user name and password, including making sure that you log off whenever you are connected to our member-area from someone else's computer or a shared computer (such as in an internet café). Does anyone else see your personal information? Only if, by law, JaliscoCondos.org is forced to cooperate with government, law enforcement, or other authorities in an investigation requiring us to give them either personal or account information, including any information you give us online through our web site. Every computer connected to the Internet has been assigned a numeric address called an IP (Internet Protocol) address. Normally when someone goes to a web page, the web server that hosts this web site automatically recognises that visitor's IP address. Our web servers are no different. This reveals nothing personal about you other than the IP address from which you have accessed our site. This IP address, however, can be used to identify the domain name of your Internet Service Provider (ISP), and the country in which you are located. It might also be used to create an even more detailed geographic profile (such as your city). Every web browser sends certain standard information to a web site's server including, but not limited to, the browser name and version number, your default language, and the web page that referred you to the web page you are now viewing. This information is readily available to every web site that you visit. We use this information to examine our web traffic, to investigate misuse or abuse of our web site, or to cooperate with law enforcement. If directed to do so by a web site, your web browser puts “cookie files” on your computer's hard drive. Like most membership or subscriber web sites, we use a temporary cookie to let you stay logged in during an entire browser session – or else you would have to enter your user name and password each time you accessed a new page in our member-area. For your convenience, and only if you choose this by clicking on a “remember me” link, we will store a cookie on your computer. This will automatically fill in our login form with your user name and password each time you return to our site. What about third party web sites? Some pages on the JaliscoCondos.org web site might include links to other third party web sites. These sites are regulated by their own Privacy Policies or Statements, and JaliscoCondos.org is not responsible for any aspect of their operations, including, but not limited to, their information, security, and privacy practices. Visitors sending personal information to or through third party web sites should study the privacy policies of those sites before giving them any personal information. Please remember that whenever you voluntarily send unencrypted personal information online (such as by an unsecured form, by email, or using discussion lists, forums or chat rooms), that information can potentially be collected and used by others. By using our web sites, you are consenting to the collection and use of personal and account information by JaliscoCondos.org in compliance with this policy. Any changes made to this policy will be posted immediately on this part of our web site to let visitors or subscribers know what information is collected, how it is used, and under what circumstances it might be shown or shared with others. If at any time you would like to update or remove your name and email address from one of our opt-in notification lists, please use the “unsubscribe” link included in each notification email. If at any time you would like to change or update your membership or subscription information, please use the link included in the member area of our web site.